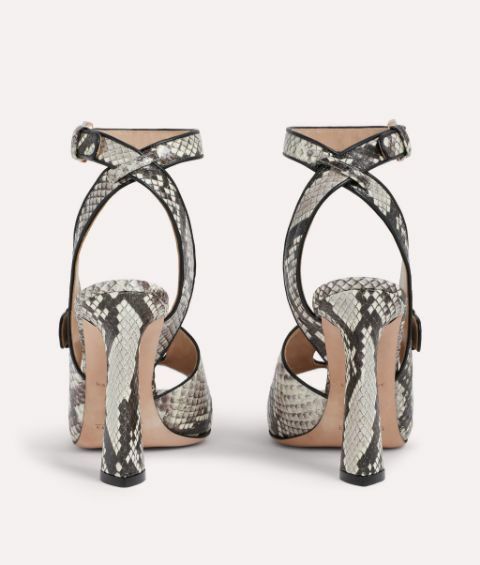 Made for sleek city nights out, the Juju sandal is re-energised in glossy elaphe skin. The muted beige colour showcases the refined textures and tones of the precious skin and is the perfect canvas for the statement rose gold tone Paula Cademartori buckle. A high block heel provides both confidence and comfort, while the slender ankle strap and peep toe are contemporary touches.